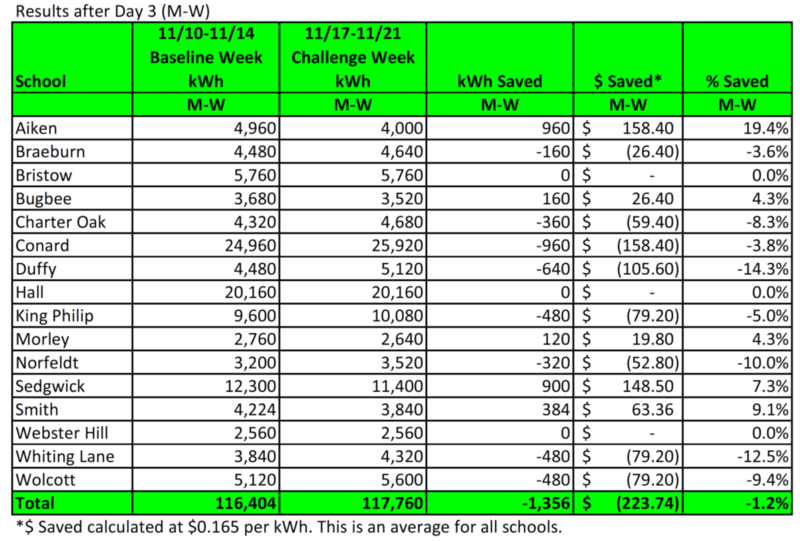 Despite a 12° drop in average temperature (45°F during the Baseline week and 33°F during the Challenge week), 10 out 16 schools had a reduction or no change in electricity use for the week. 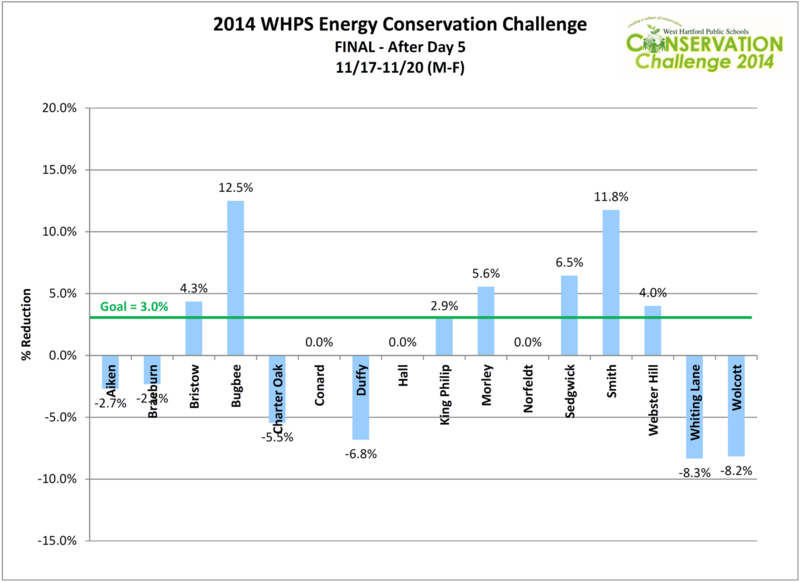 As a group, we beat our baseline by almost 1%. 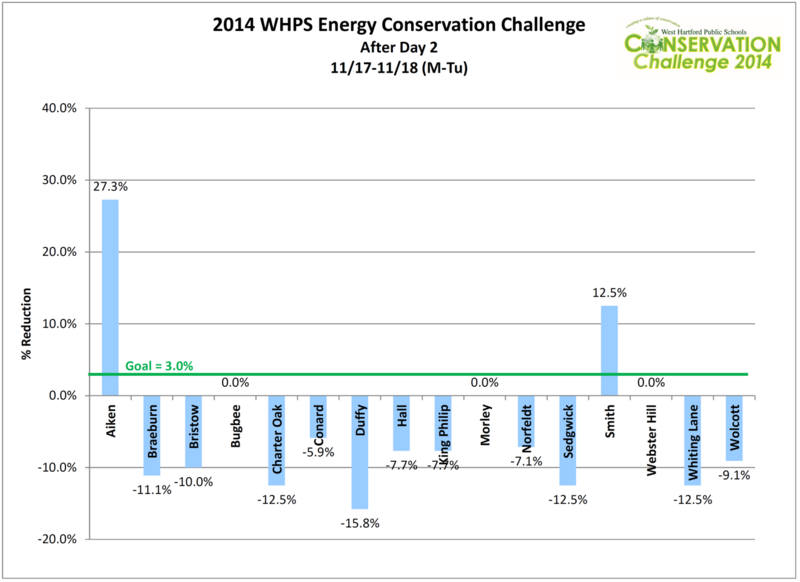 Great work - thanks for participating! Daily results are below. 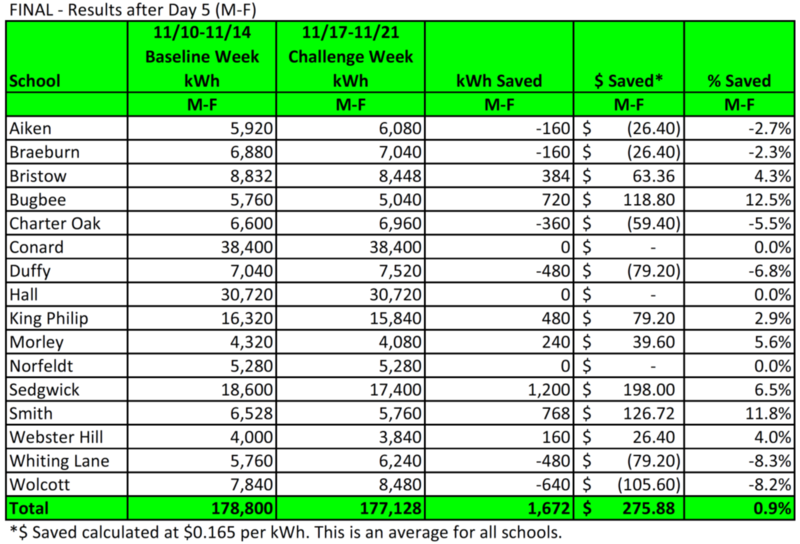 The Energy Conservation Challenge is an annual competition between our schools to save as much electricity as possible. ALL staff members and students work together to watch their watts each and every day. It’s that easy! 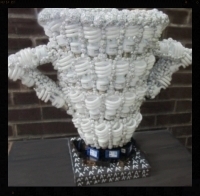 The school that reduces its electricity use the most (in %) is awarded the Energy Conservation Trophy. 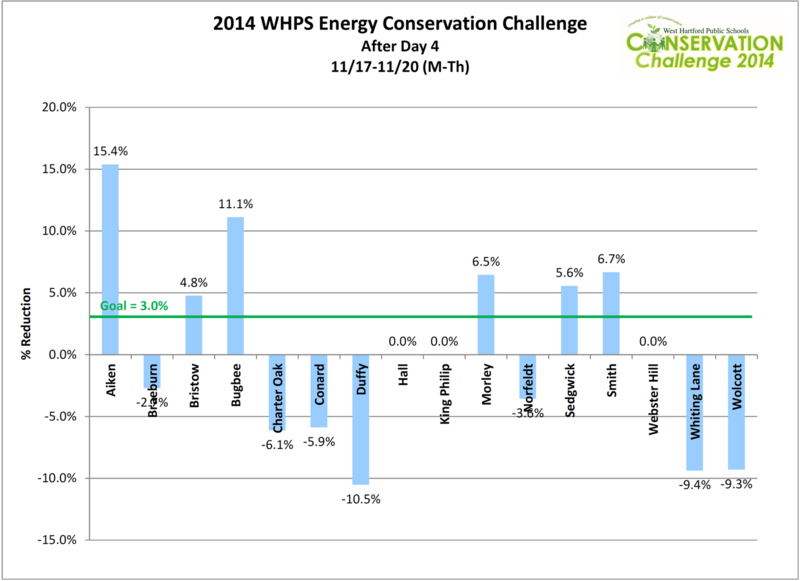 The Energy Conversation Challenge is one week long. 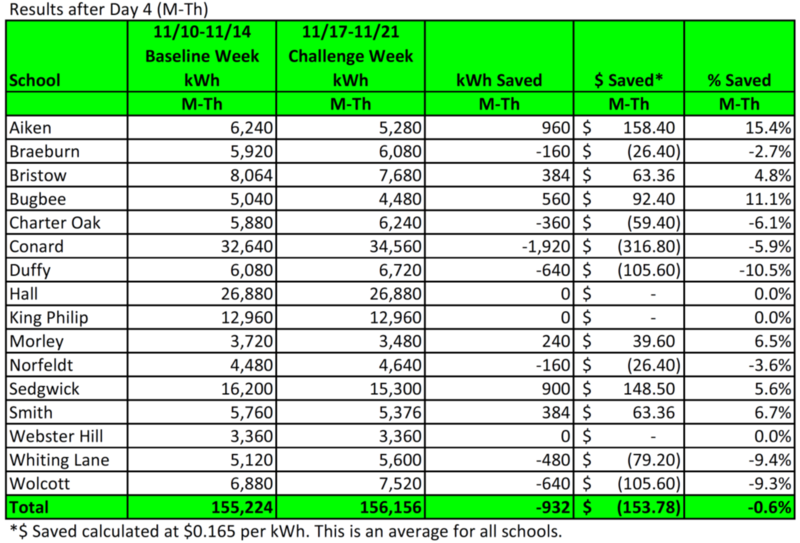 Head custodians take electric meter readings every day at the same time and each school's cumulative electricity usage for the Challenge week is compared to a Baseline week (which is secretly gathered during a previous, comparable school week). Schools are encouraged to promote and participate in the Challenge any way they wish. Resources such as posters, flyers, logos, and conservation tips are available through Plant & Facilties. 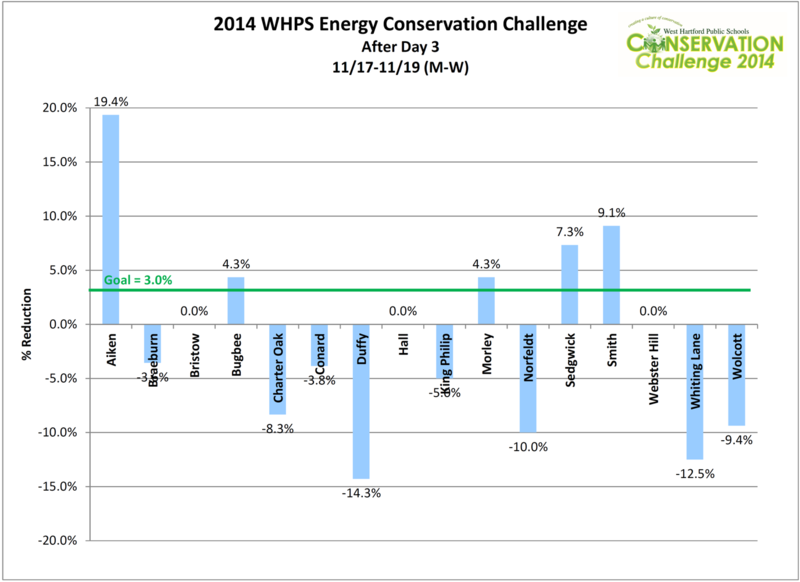 A 3% reduction in electricity use at every school. 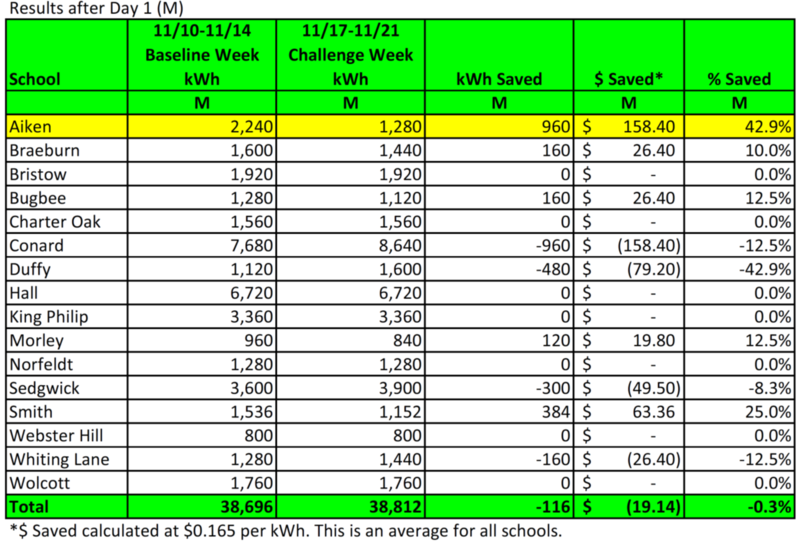 Our 16 schools use about 11.1 Million kWh of electricity each year. A 3% reduction would save 333,000 kWh and $55,000, not to mention a reduction in green house gas emissions of about 230 metric tons of CO2 annually, the equivalent of 48 passenger vehicles. Please! 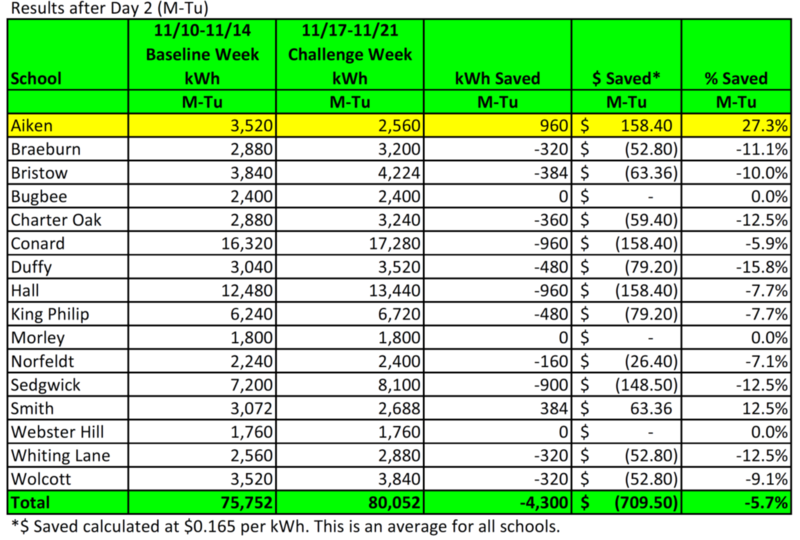 Do not be discouraged if your school is showing an increase in use (or a negative savings/reduction) after Day 1. This can simply be a function of when the electric meter clicked over to the next digit and will even out over the 5 days. 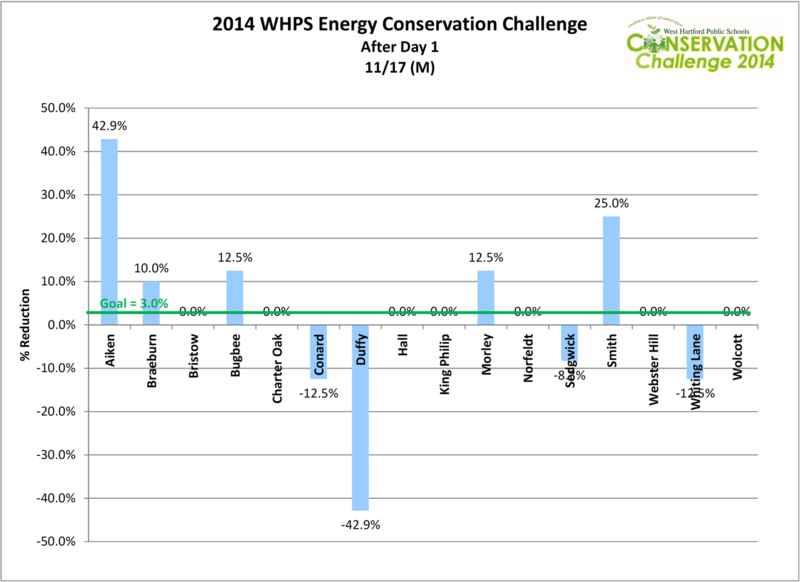 Note on results: Aiken Elementary School, our 2014 leader for 4 days, discovered that they had made a mistake in their baseline meter readings, which knocked them off the top. Plant & Facilities decided to award Aiken a special Good Sportsmanship Award for being honest and reporting the mistake.